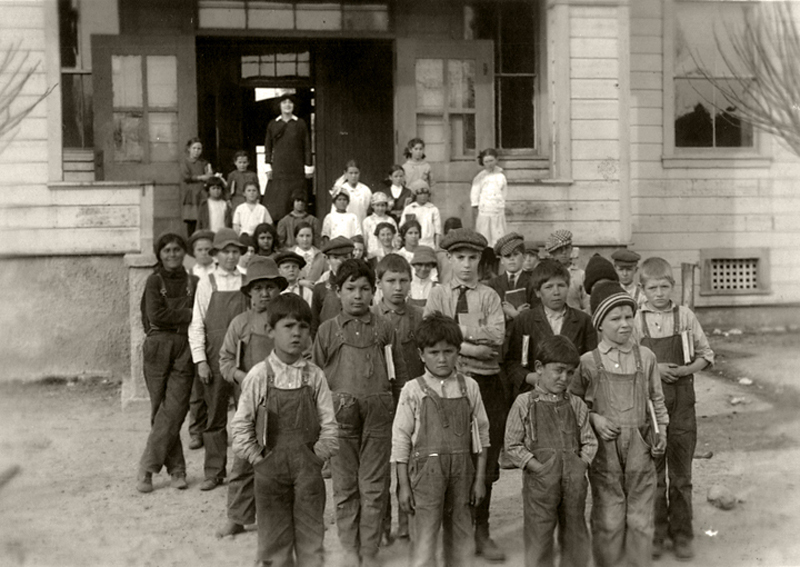 A graduating class in front of the third Newhall School, northwest of Newhall Avenue and 10th Street (Lyons). The modern address is 24514 Kansas Street. This is probably a class from ~1915 because of some of the people in it. According to contributor Rosie Luce, her mother, Lucy Rivera Booth, is at top, second from the right in a gray dress with dark bow in her hair.